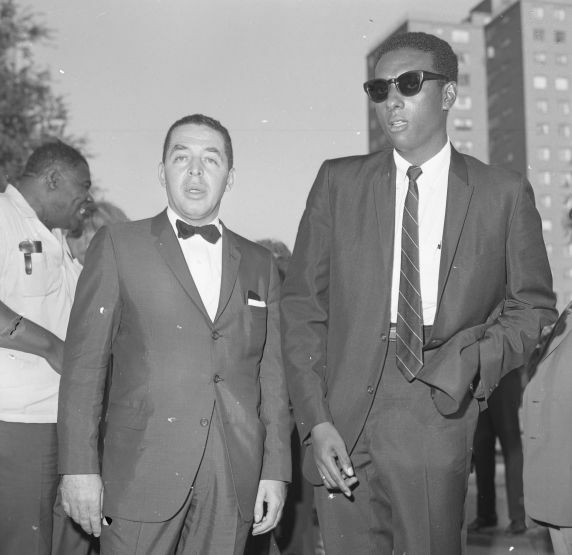 Stokely Carmichael (later Kwame Ture) and Rev. Albert Cleage (later Jaramogi Abebe Agyeman) make an appearance at a "Meet the Candidates Rally" at the Jeffries Homes/Project. The rally was called on behalf of the candidacies of Cleage, who was running as a Democrat for the 13th district congressional seat, Kenneth V. Cockrel, who was running for state representative of the 11th district.